Since First Team opened our doors on October 3rd, 1988, we’ve been fortunate to become one of the most successful automotive dealership groups in the state of Virginia. From our humble beginnings as a Hyundai dealership (when most Americans didn’t even know what a Hyundai was) to our new Hyundai, Nissan, Volkswagen, Subaru and Prestige Collection dealerships today, we are proud to be the dealer with good people and great values for the last 30 years. For over 30 years, First Team has been an innovator in the automotive industry. We developed “Clean Deal Buying” many years ago, and have evolved it into our exclusive Clean Deal Buying Experience, where you get one price, right up front, set by the market, with no hassles, no hidden fees, and no worries on every new vehicle we sell. 100% Customer Satisfaction Is Our #1 Goal. If You Like Our Policies,Tell A Friend. If You Don’t, Tell Me. When you buy a vehicle from First Team, you can receive these services for life! 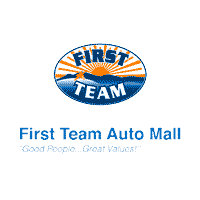 All included for as long as you own your vehicle, as long as you continue to have all manufacturer’s suggested service performed at First Team Auto Mall. a part of the Roanoke Valley Community for over 30 years, and we’re a recipient of an A+ rating from the Better Business Bureau. Our reputation speaks for itself. We provide you with a fair, low Internet Market Value Price (iMVP), determined by the Virginia market, not by us. Our iMVP software utilizes KBB Fair Market Value and searches over 20,000 websites per hour to calculate your maximum savings. We also post the same prices on the windshield that are on our website and in all of our advertising. Every dealer discount, factory rebate or other offer is clearly defined in all of our advertising and in our showroom, so you know up front which offers you qualify for. The offers you see in our advertising and on the net are the offers you get at the dealership, every day. If for any reason within 48 hours of your purchase you decide that you would like another type of vehicle we have in stock, just “Bring it Back” to exchange! From our lifetime parts and service guarantee to our Fast Team Quick Service, First Team is your number one choice for value. From our thrifty, economical cars to our high-end luxury vehicles, First Team has a huge selection of high-quality pre-owned and certified pre-owned vehicles to choose from. All First Team Certified Pre-Owned vehicles come with a 90 Day/3,000 Mile Warranty, and most qualify for our Values for Life program along with Engines For Life. Even our budget-priced vehicles come with a 30 Day/1,000 Mile Warranty. That’s peace of mind. When you drop your vehicle off for service, First Team will drive you to work/home and will pick you up once service is completed. Your Clean Deal Buying Experience also includes our 48-Hour Bring It Back program, Lifetime Parts and Labor Guarantee, our $500 Low Price Guarantee, and our exclusive Values for Life Program. With Values for Life, you get your first oil change covered at no cost, plus your engine, state inspections, exterior car washes and more cover for LIFE!